Trade shows are invaluable tools for companies, providing unique opportunities to assert themselves among industry insiders and potential customers. 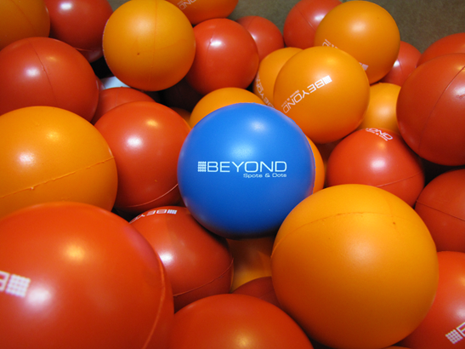 Beyond Spots & Dots wants to help grow your brand, and we know how to maximize the value of trade show events. 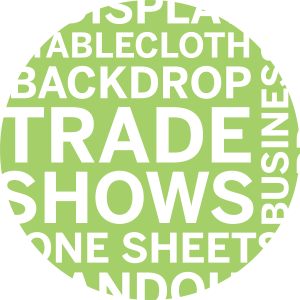 Beyond Spots & Dots is experienced in setting up and planning for trade shows – small and large. From convention center trade shows to local community grassroots marketing, Beyond Spots & Dots can help your company plan for the proper trade show and/or on-site elements. Once we know your company sales and marketing goals, Beyond Spots & Dots will determine which shows, seminars and/or community events your company should attend. Introducing a New Brand – Are you a startup looking to attract attention to both your brand and your product/service offerings? Tradeshows a full of eager consumers who want to see what innovative new companies have to offer. Increasing Brand Exposure – Maybe your company is well-established but is seeking new ways to get noticed. Attending a trade show could be just the right way to get back into the hearts and minds of key customers. Cultivating Industry Contacts – Networking is essential in business. By attending a trade show, you can reach out personally and as a company to create valuable partnerships in the future. Reaching New Customers – Trade show exhibition allows companies to attract new business. By attending a trade show, you have a unique opportunity to make sales to first-time customers and increase company profits. Evaluating Competition – What is your competition up to? Industry trade shows provide an up-close look at the products your competitors are selling, as well as what strategies are working or not working. Establishing necessary elements such as electricity type, table size, booth size & location of booth space to ensure that you have everything you need for a successful event. Determining the size of the total space needed so that your booth can accommodate both you and the materials to be featured during the event. Negotiating pricing accordingly, so that you and your company can rest assured that attending the event is within your budget. Securing the contract for your event space to ensure that you have a place to set up on event day. Determining what signage is needed, i.e. backdrop, retractable banner and/or a sign with name & logo, to help your company and booth stand out. Planning for, designing and ordering pertinent marketing materials, i.e. signage, brochures and business cards, so that visitors to your booth can get as much information about your company as possible. Setting up a timeline for manning the booth as necessary to ensure that a knowledgeable company representative is present to answer questions and provide information to visitors at all times. We can help you plan, prepare for, and even staff events, conferences and exhibit booths, giving you the opportunity to not only promote your products and services, but put a professional face to your business name.